Accumulating wealth and a stable future is the goal of any ambitious individual, and yet very few understand finances. Gold comes to anyone and in an increasing quantity to anyone who is willing to put at least 10% of their earnings to create an estate for their future and their future family. Investing into one’s future is a formidable task that takes years of development, and can pay exponentially in years to come. It is a creation of habit, and understanding that everything that is earned in a paycheck is not readily disposable. By setting aside a small portion of income each week, over years of investments, and constant scrutiny – the small deposits can become a giant lump sum. The proper employment of people and things that will increase overall wealth is a significant decision in the overall process of accumulation. It is important to put your trust into someone that will not gamble with earnings, and value other’s wealth as highly as their own. If it is not within reach to pay for such employment; read, experience, and value one’s own knowledge until it is considered to be of an expert level. With the opportunity to hire advisors and investors for hard earned earnings it is important to know the experience level of each individual, and the firm they represent. They must have sustained knowledge of how to grow, protect, and develop an account into a significant asset. It is wise to only invest in businesses that are understood by the individual, or by the advisor. Investing one’s money into businesses that are not stable, and do not provide future potential growth is simply gambling. Read as much as you can about a business, and make an executive decision. Consider this fact – when you are investing, you are owning a piece of the company, and would you want to own something that is not profitable? Gold flees the man who would force it to impossible earnings or who follows the alluring advice of tricksters and schemers or who trusts it to his own inexperience and romantic desires in investment. Review and decide for yourself. It is important to understand that real advice is solidified on the fact that there is no quick scheme to making money. Money is invested, and grows over a long period of time. Those who are quick to believe in quick income will quickly lose all of their investment. Understand that the money that has been invested in completely indentured for future employment. Allow that money to grow, and it will provide wealth for years to come. 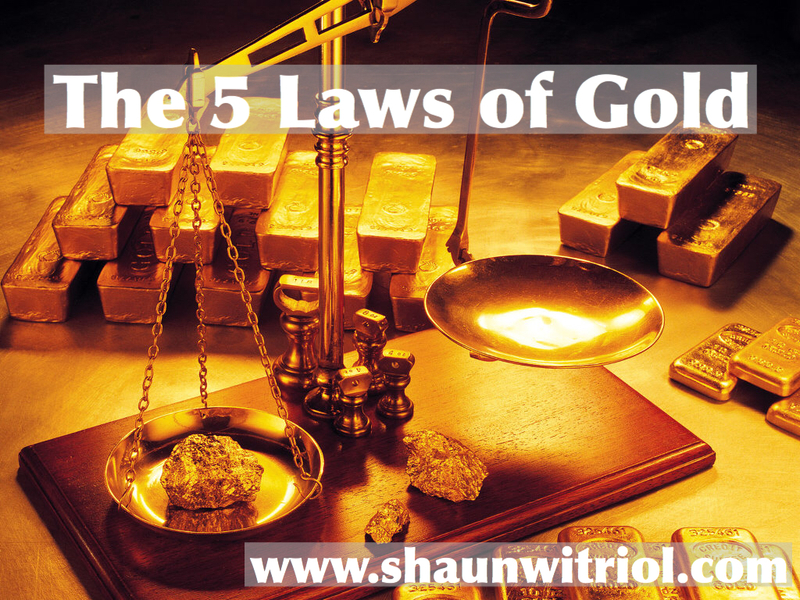 These laws have been instill into the beliefs of every businessman, investor, and manager of all the elite companies. They understand that there are risks involved, and make the necessary calculations to jump on an appealing transaction. With the institution of these laws, and complete comprehension of its value into practice – each and every person will be able to develop sustainable wealth.